It has been very weird weather here in Georgia. It has been going back and forth between hot and cold, but I think it has finally to become boots and sweater weather. What does that mean? finding ways to stay cozy. 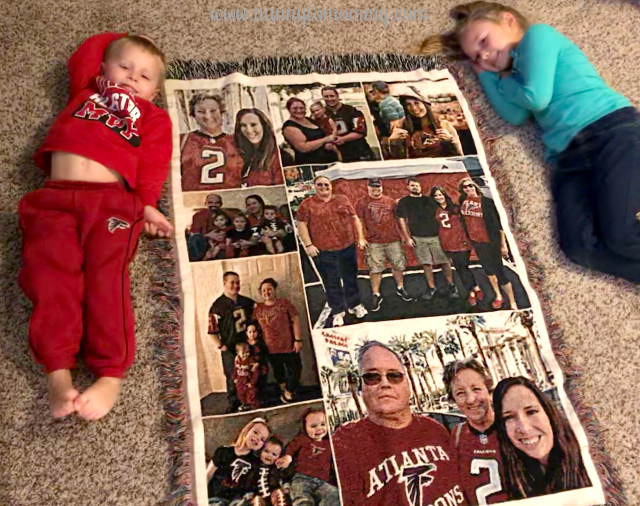 What better way than with a custom, unique photo blanket! Collage.com is gearing up for the holidays. From holiday cards to canvases, photo blankets, iPhone cases, and more. They make perfect unique gifts that the whole family will enjoy. I decided to give my mom a 60x80 Sherpa blanket and my mother-in-law a 37x52 Woven Image Blanket. I decided on the smaller size for my mother-in-law because Collage.com's system let me know before hand that some of the pictures I wanted to use may not print the best quality if done in a larger size. You can select to upload your own images or gather images from various sources across the web including Facebook and Instagram. I like the Sherpa Blanket. This would be for a friend. I really love the printed woven! I like the hanging tassel like edges. My granddaughter would love to get this. She is 5 yrs. old and her Daddy is deployed. She just said to me today "I miss my Daddy". I feel so bad for her. I would definitely get her a blanket with a big picture of her and her Daddy!! God bless and Happy Holidays everyone! I would love to get the plush sherpa blanket for my niece. I would add a bunch of pictures of her! I like the sherpa picture blanket with pic of the family for my daughter in college. Picture blanket. I would get it for my grandaughter. I would give this to our Gramma who lives in Florida! I really like the Woven Photo Blanket and it would be a GREAT gift for my mom! I would like the 60x80 sherpa blanket for my daughter. I would put pictures of our dog Bella on it. thank you! I like the Plush Sherpa blanket. I would make this for my daughter for when she goes away to college. I'd like a plush sherpa blanket for my 23 yoa daughter. Thanks. I'd like to get a Plush Fleece Photo Blanket for my sister. I would love a sherpa blanket!! Anything fuzzy wins me over every time!! I love the sherpa for my daughter. thank you! She would love this! I would choose the plush Sherpa blanket for my mom she would love one. I like the Woven Image Blankets. I would probably keep it for our living room. I love the Sherpa blanket- it would be perfect for my mom! I would love the 60X80 Plush Sherpa Blanket! I would keep it for our family room for the whole family to enjoy! I would choose the Sherpa Fleece and I would really love to make one for myself I would probably end up gifting to my sister! I like the fleece photo blanket. I would make one of my family members and it would be for our home. If I won I would get it for my son. He would just love it. I would choose the plush sherpa blanket for myself to remember how my kids have grown into young adults. I would love any type of the Sherpa blankets. Soft, cuddly, warm with my loved ones faces on it to engulf me in comfort and love! What a perfect gift! I forgot to say that I would keep this blanket until my granddaughter gets married next fall. Then I would give it to her as part of her wedding present. I love the Woven Imagine Blanket, it's absolutely gorgeous! I would make this a gift for my momma with all her kids, grandchildren and great grandchildren. I would give my Mother in Law Woven Image Blanket! I would choose the printed woven blanket and this would be for my mother in law, I would put photos of her dog who passed away on it, she would just love it! The plush sherpa blanket would be wonderful for my mom. It'd be wonderfully soft and warm for her when she curls up with a cup of cocoa and a good book. I have had my eye on one of the Sherpa Blankets for awhile now! That would definitely be my choice! I would love to get the Custom Sherpa Blankets. I really like the Woven Image Blanket the most. It looks like it would be really durable. This would be for my mother. 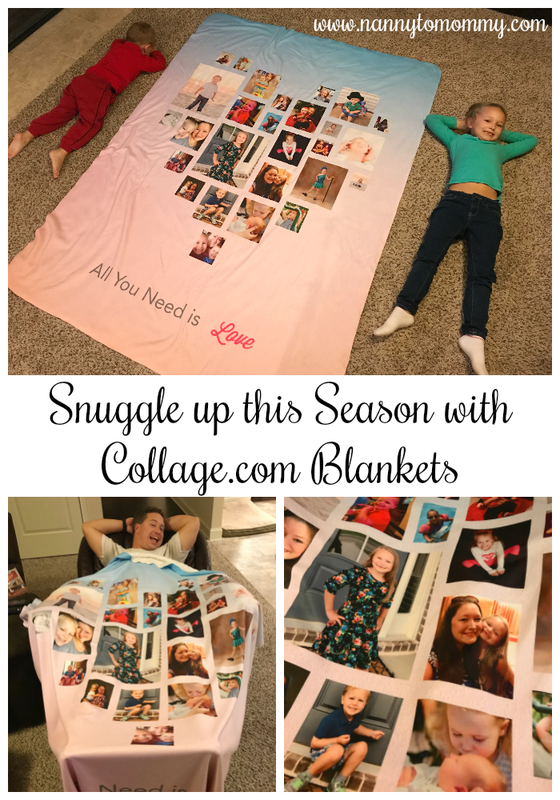 I love this idea of the image blanket. Would definitely make one or two for my parents who live in india. I'd like to get the Sherpa blanket for grandma. She would love it. I would like to have the Sherpa Blanket. It looks so cozy and warm. I would like to have the printed woven blanket to give to my niece with photos of her kids. I would like a Sherpa blanket for my mother. I would choose the fleece blanket and it would be for my mom, with her kids, grandkids and great grandkids on it! I love the printed woven blanket. It would probably be a gift for my mom. I would love to have the 60X60 Plush Sherpa Blanket!